ACE is a local veteran-owned construction consulting firm that has served the Lowcountry since 1997. We believe that owning a home is the single best thing a person can do for them self, their family, and their community, and we are thrilled to help you optimize your ownership experience. ACE technicians have completed over 30,000 inspections! We examine every accessible part of the structure including the electrical, heating and cooling, and plumbing systems. 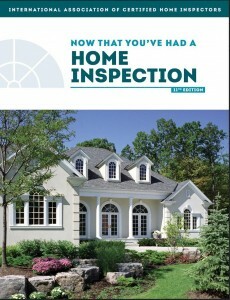 Hopefully you can be at the inspection so we can explain our findings to you firsthand. If you cannot be there, we will discuss the report with you until you feel comfortable with all aspects of your report. ACE inspection reports deliver honest, objective information identified during our thorough inspection process. We strive to deliver a pleasant, professional experience from the first contact to your last question. Our technicians hold a variety of licenses and certifications so we can deliver as much information as you need to decide what is best for you. All inspectors are also certified members in good standing of InterNACHI, the International Association of Certified Home Inspectors.